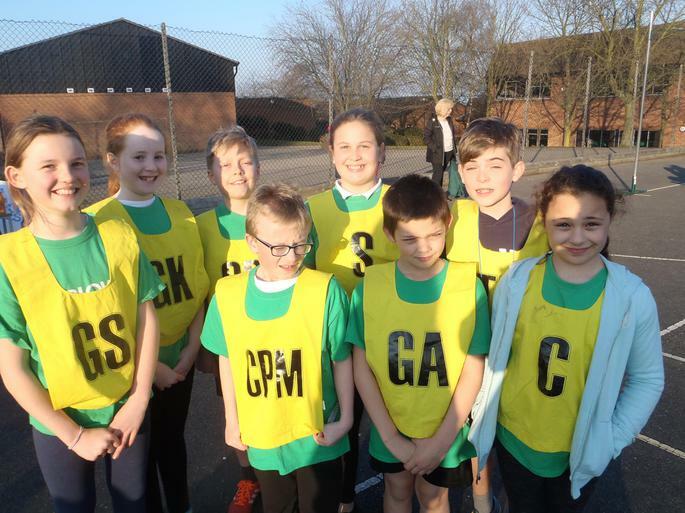 Well done to the team who took part in the High 5 netball tournament today. The team played 5 matches. In match one, everyone was still finding their feet and we lost 2-0. The next match, the team really came together and we had superb defensive work and two goals at the other end to secure the win. The next match saw lots of end to end play but no one could quite get the ball to the net so the score was 0-0. At the end of these three matches, we were third in our group so played the other teams who had qualified third in their group to determine overall positions. The next match was a draw so the winner was determined by a shooting competition between the goal shooters which was won by Barlow. Unfortunately our final match was very short and we lost 2-1. This left us with 10th place out of the 16 teams in the tournament. The team played well and worked hard. We are very proud of them.